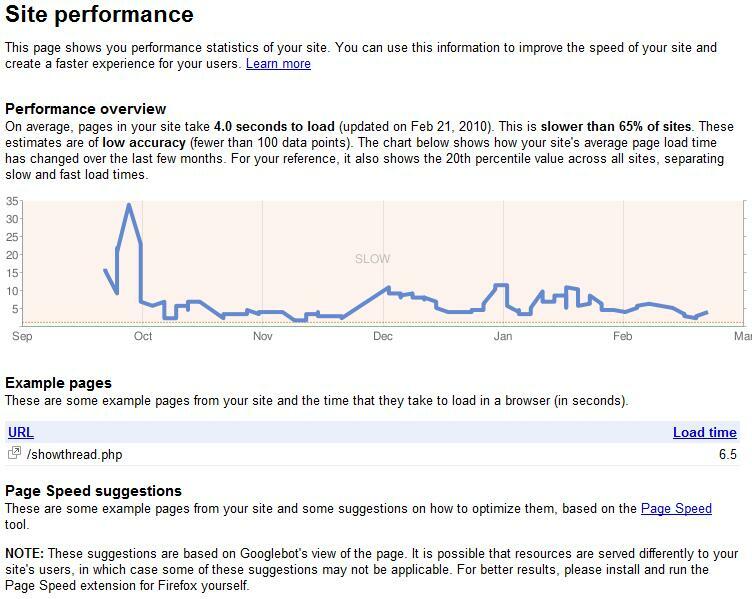 Its quite some time now when Google launched Site Performance, as part of Webmaster Tools Labs, which analyzes your Web site and provides data on the average load time, graphs out how your site has improved or slowed down over time, generates reports on specific pages, and, best of all, offers suggestions for speeding up your Web site. Google in an FAQ about PageRank says that Google PR is just one of 200 factors that influence a page’s ranking. 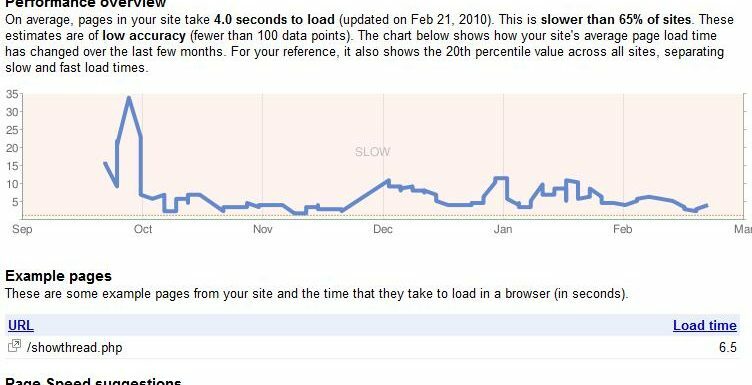 So Google PR may not be as important as speed of the page and so I thought of checking it for few of my sites and I really saw that my sites seems to be quite slow for more than one reason. I am not sure how much accurate is the report but I have mod_deflate enabled into my Apache web server and so it should take care of all compression but definitely I need to look further into it and see if I can reduce my page load time as suggested by Google. Have you tested your site for “Site Performance” By Google and what are your views on the same? I understood. I am new so these sites are just beginning. Over a time, I will change both these sites to top level domains. -Your opinion Adsense ads placed in these sites? Are they appropriate? Any suggestions for color ( I chose blended background) and the way they are placed? -What are the most legitimate way to increase traffic? can I expect to get good traffic for my restaurrant review site becuase this site is focus to US visitors. – From Google Webmasters tool, I came to know the main keywords for my first site http://www.perfect-fitness.co.cc. Is there any way to locate the page where my site is listed when do a GOOGLE search using the KEYWORDS mentioned in Webmaster Tools? 1. You are being trapped into cents game. See the last para I have under the first point here. You should not focus on how you can be making few more cents in Adsense because it should not matter. 2. See my 25 traffic tips. 3. If your site is listed you should be able to see it when searching. I will suggest you are focusing on too much of stats that is composed of nothing few people. Concentrate more on getting more people with genuinely good content and rest will follow. I will suggest you to get a domain name first. co.cc means no value for me. I would like to seek your opinion about my two blog sites. I am not a SEO professional but I did lots of self learning from web including your blogs and applied the same to improve SEO of my blogsite. I do not know how well it was done. What is your site URLs?